In East Naples on Thursday, first responders were put to the test during action-packed training scenarios. It was a scene that played out at the old Germain Honda off of Davis Boulevard in Naples. Dozens of firefighters, medics and other emergency responders took part in a giant training session. Cars were placed on their sides, broken glass laid scattered on the roadway and actors posing as victims called out for help during the drills. 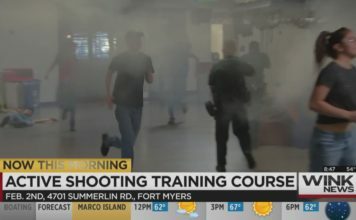 “It can be very intimidating, especially for the public and even first responders it can seem very real, and that’s our main objective,” said Rusty Godette, training captain with Greater Naples Fire and Rescue. First responders were instructed to treat the exercise like a real emergency when they arrived on scene. “It’s not every day we get to do a car extraction or that there’s multiple accidents at one time with so many patients,” said battalion chief Andy Krajewski. The point of the drill was to see how teams from all over Collier County could effectively work together. “This is another way to test our skill when it comes to a basic car ax that turned out not to be basic,” Godette said. 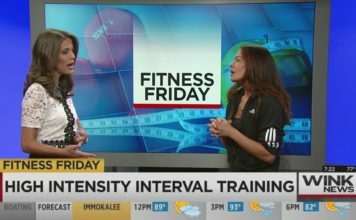 WINK News reporter Olivia Mancino was at the training on Thursday. Watch video from the scene below.